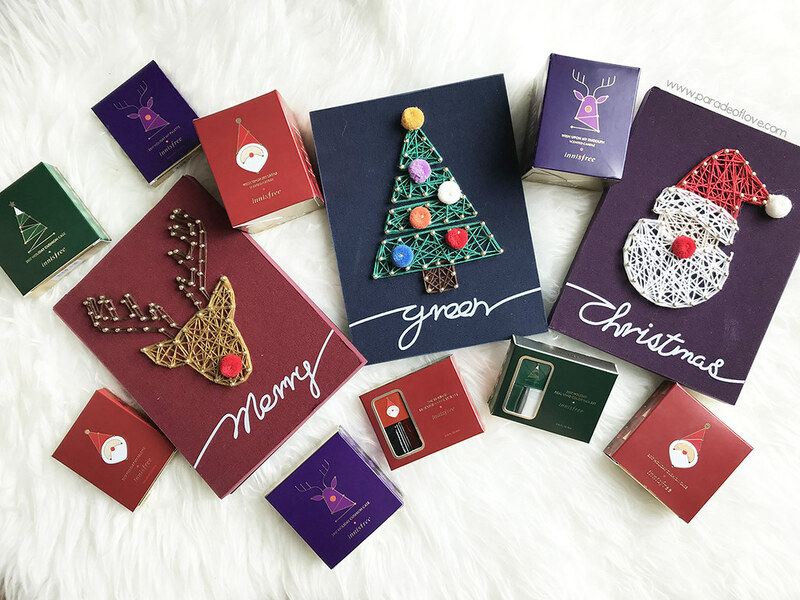 The festive season is all about spending quality time with your loved ones and these String Art Sets not only allow you to bond but also create a connection to the children and families impacted by cancer. The crisscross strings on the kits actually symbolises the heartfelt connection between people in the community. 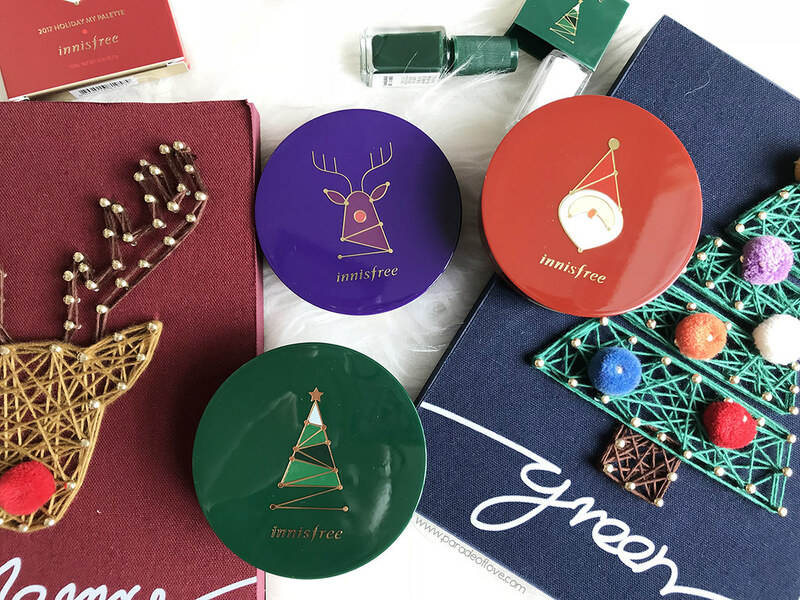 The sets come in three designs – Reindeer, Santa and the Christmas Tree. 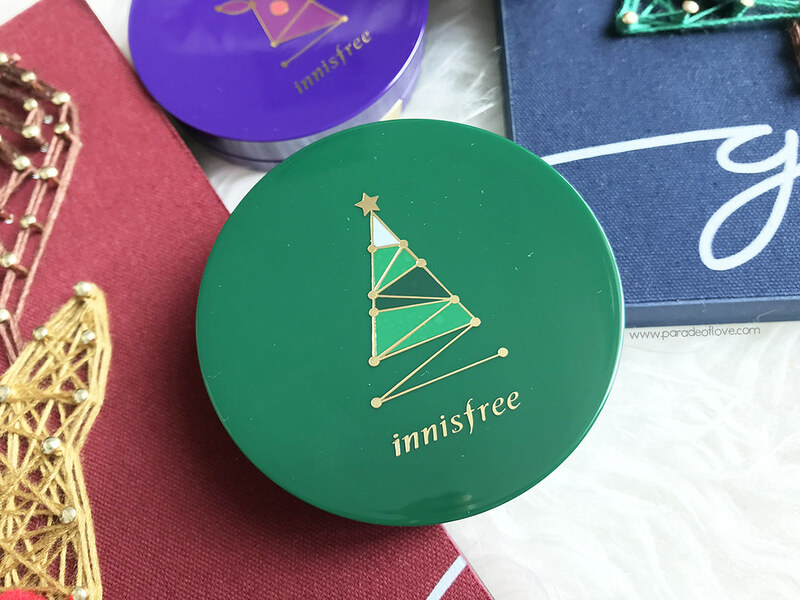 With every purchase of the sets, Innisfree will donate SGD2 to the Children’s Cancer Foundation (CCF). What a cause! Moving on to the makeup! If you’re already a fan of the cushions, you’ll be thrilled to add three more cushion covers to your collection! The Christmas Limited Edition My Cushion Case is exclusively available for the festive season. These collectible cushion cases are available in the festive colours of red (Santa Claus), green (Christmas Tree), and purple (Rudolph the Reindeer), adorned with our favourite Christmas characters. Aren’t they cute? 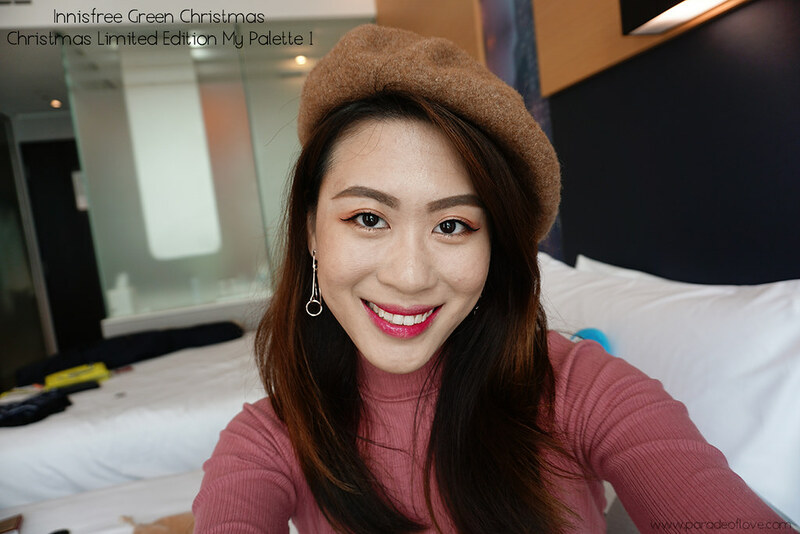 To add to the festive cheer, dress up your peepers with the Christmas Limited Edition My Palette. 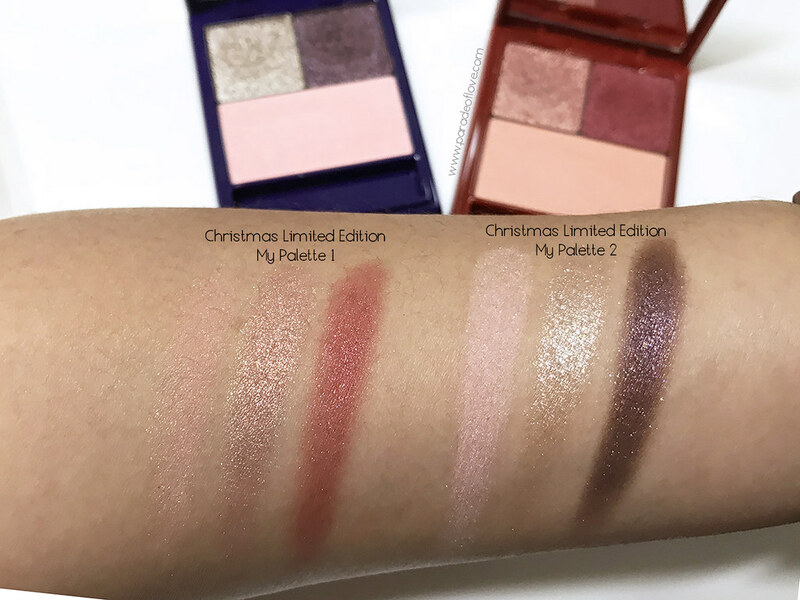 These limited edition palettes adorned with intricate gold elements on its red/purple casings are not to be missed! 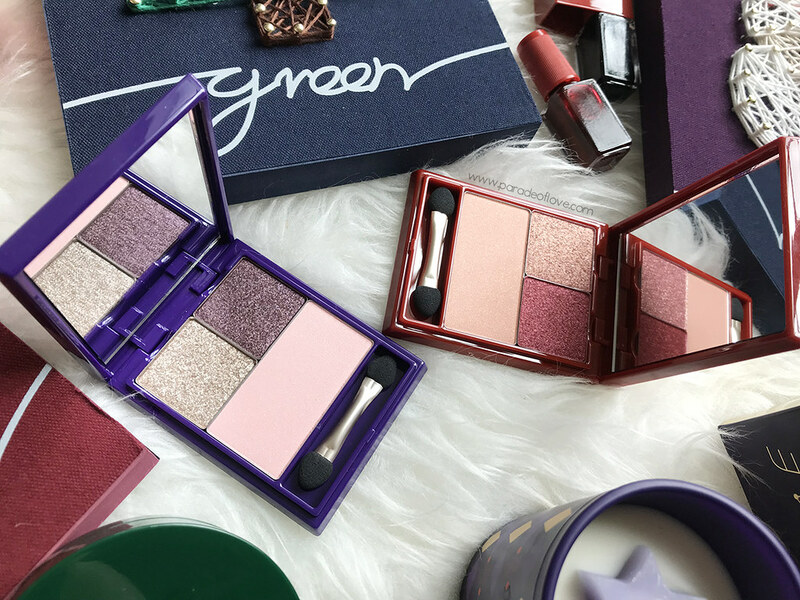 Curated with gorgeous eyeshadow and blush shades, you can switch up you festive look easily. 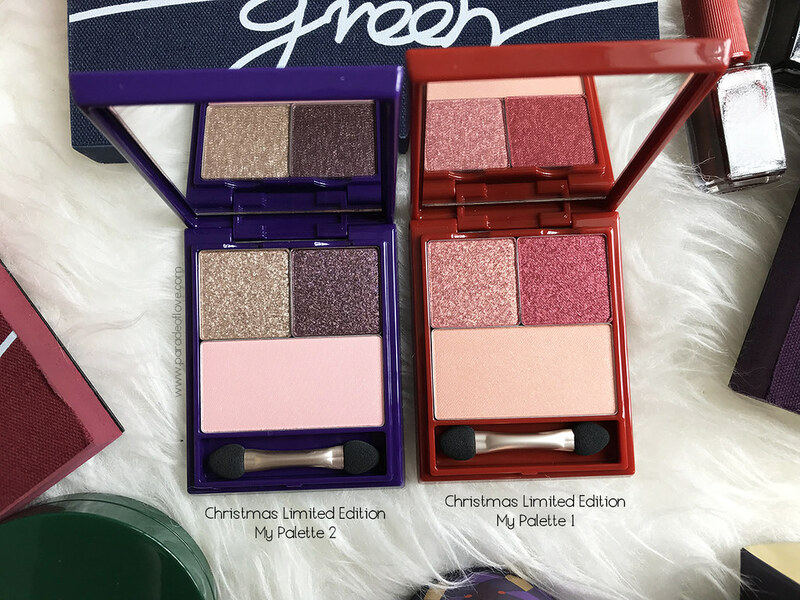 I love that the palettes have got two complementary eye shades for you to achieve an easy duo-colour eyeshadow look and a blusher to finish up your overall makeup. I must say though, that the blush shades are pretty light so it might not show on your skin if you have medium to dark skin tone. One of my favourites from this collection is none other than the Real Vivid Colour Nail Sets. 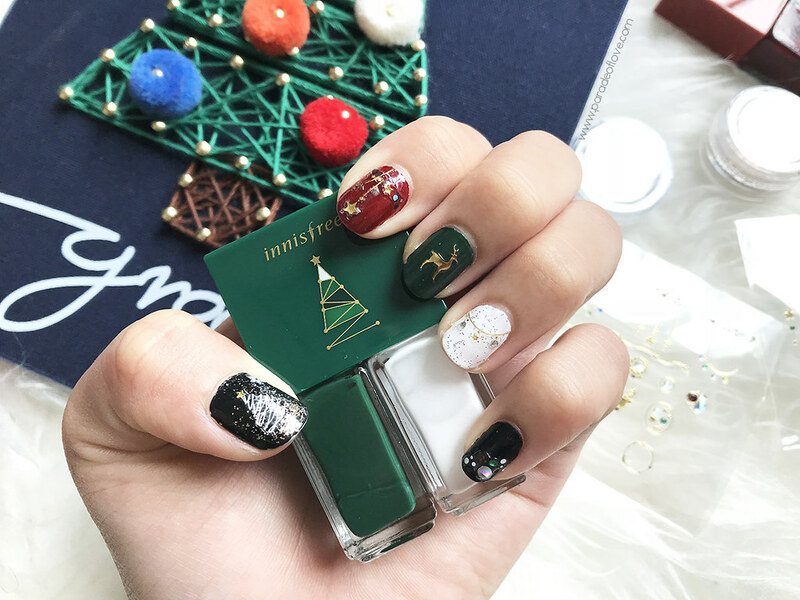 Dressing up your nails are so important because no look is complete without having pretty nails! If it’s hard to get that appointment booked, look no further than these DIY nail kits. 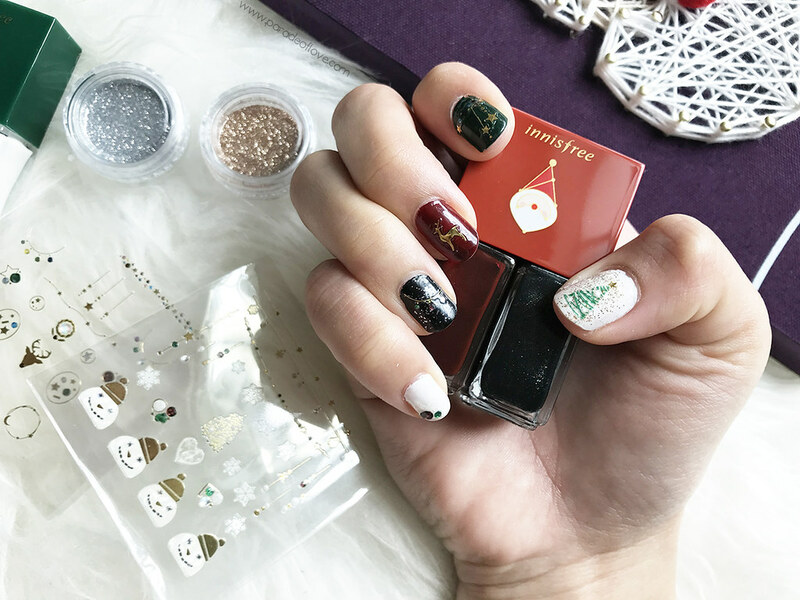 With two lush Christmas hues, Red and Green, the nail kits come with festive stickers and sparkly glitter powder for you to create seemingly complicated designs in a nick of time! I created a couple of designs on my nails just to show you what you can do with them! Although I must comment that they aren’t really lasting, I do love the cute classy stickers in this kit. 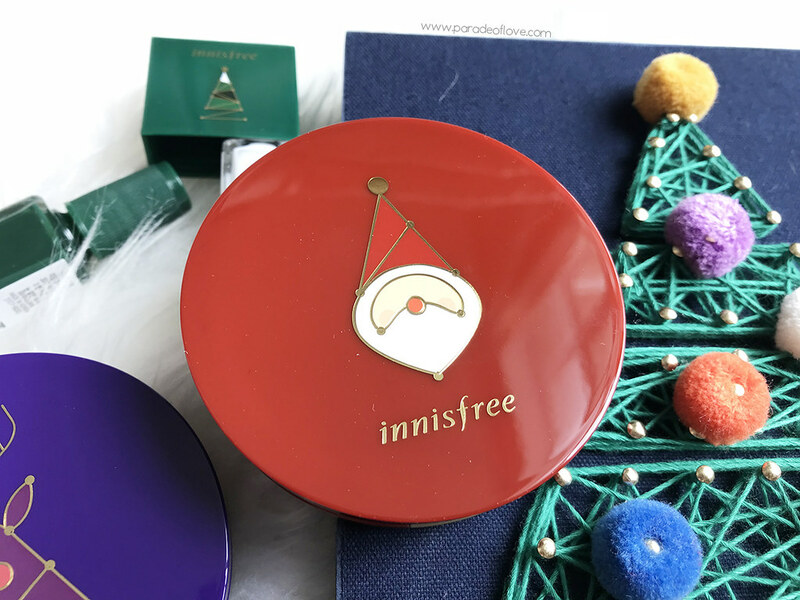 Want to feel like Christmas even before the holiday week? 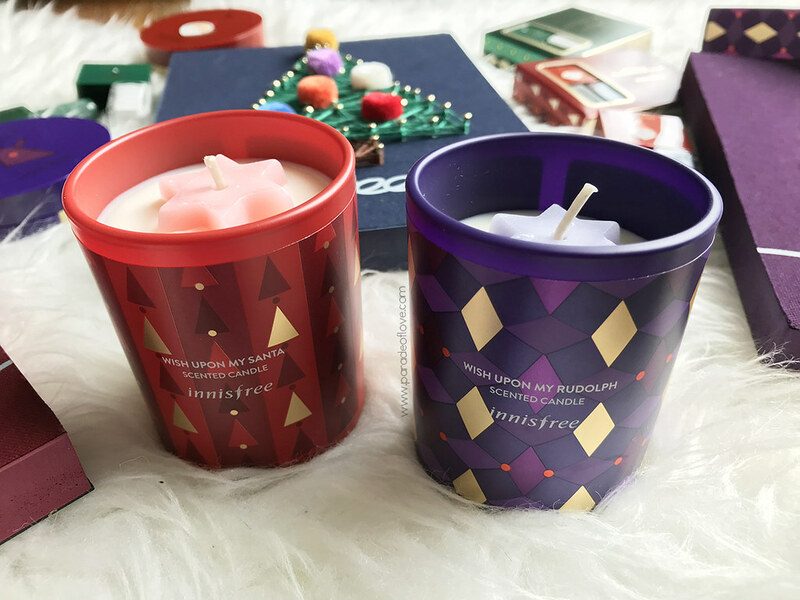 Fill your home with these lovely Christmas Fragrances inspired by the magical elements of Santa and Rudolph on a wintry Christmas evening. 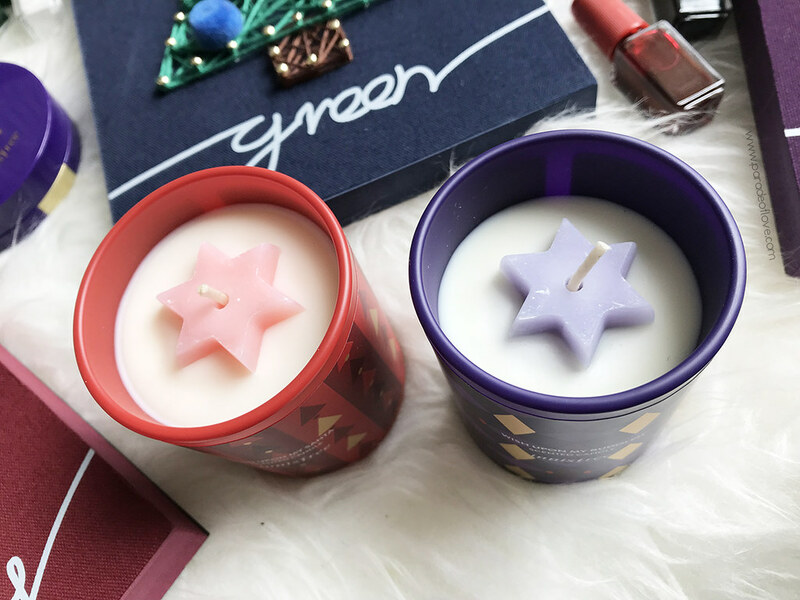 Be enchanted by these all natural soy candles as they add a whiff of festivities to your cozy crib. Available in Wish upon my Santa for a citrus herbal scent, Wish upon my Rudolph (Candle only) for a powdery floral scent. 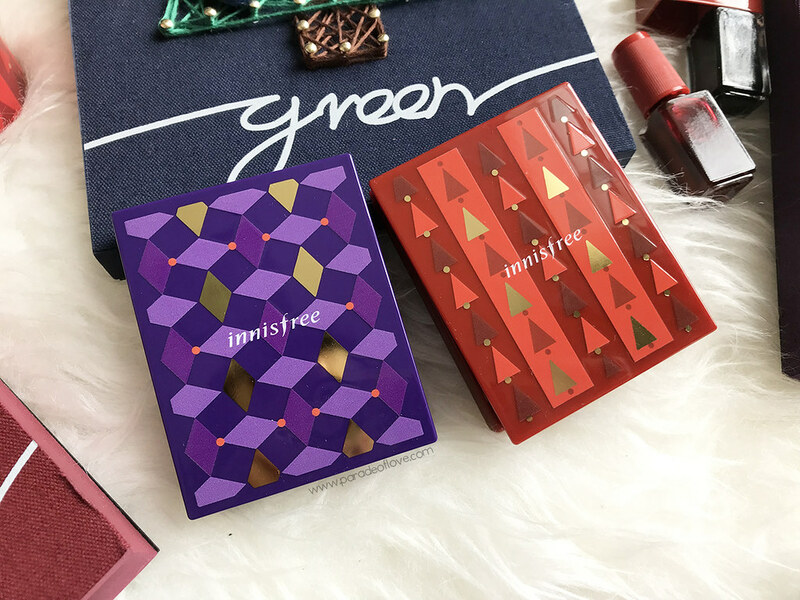 There are many other skincare and home fragrance sets available from the Green Christmas 2017 Collection that are not mentioned here so do check them all out! 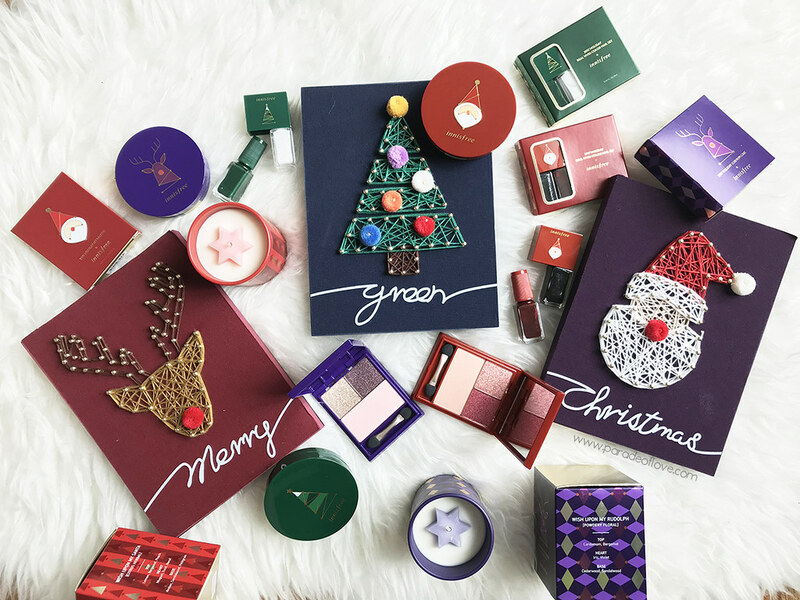 This is one Christmas collection that I really love! 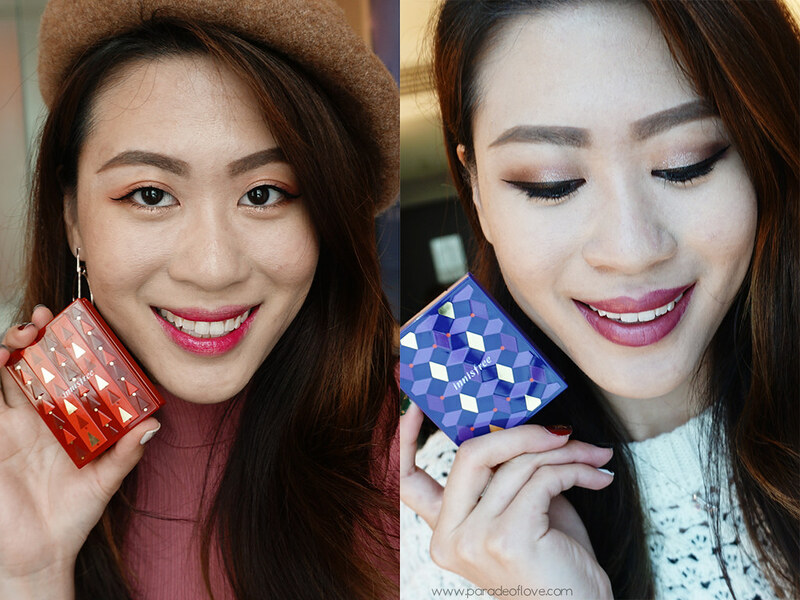 I’ve been using the palettes a lot because they are really that easy for you to pull a look together in a short time. 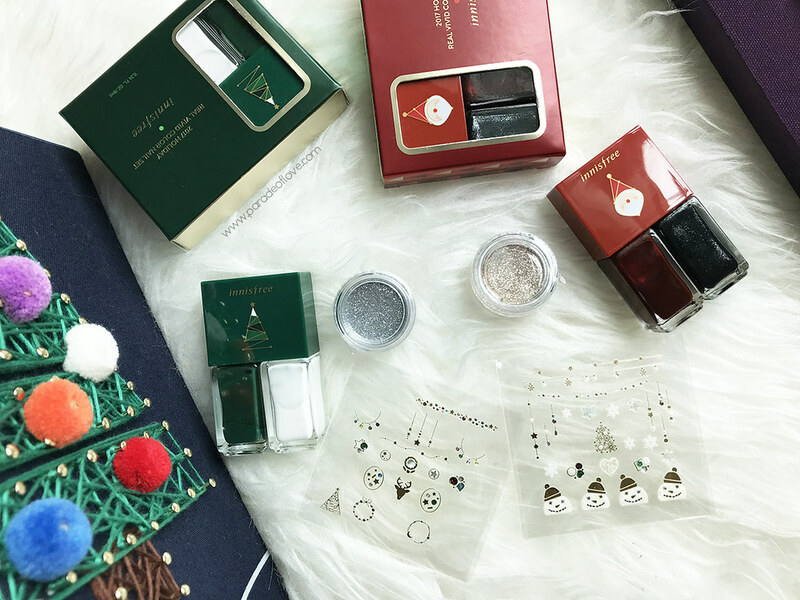 Well, it’s time to add a touch of festivities to your beauty wardrobe so, GO GO GO! 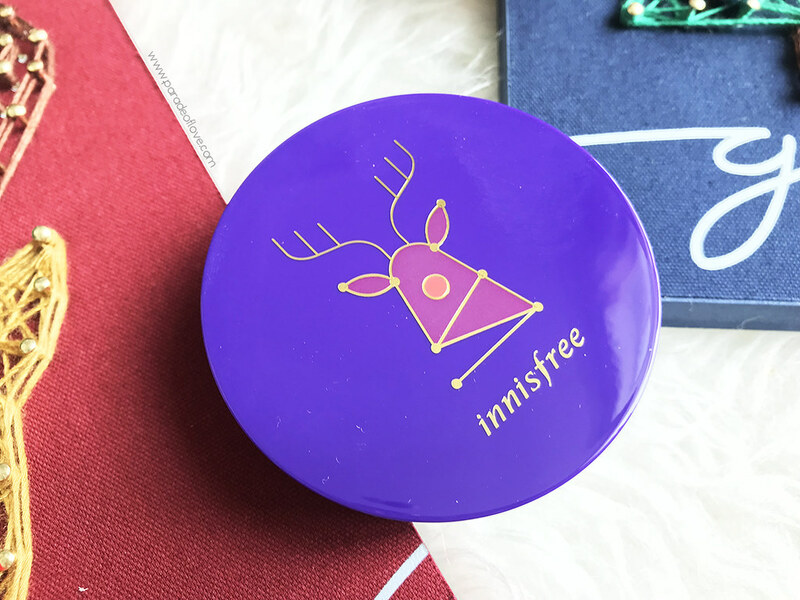 Disclaimer: Products were provided by Innisfree & Touch PR for consideration. The above review is based on my true and honest opinion and experience, without influence from others or the brand. It contains information from the brand. I am NOT affiliated nor compensated by the brand.